Java is a simple, object-oriented, interpreted, distributed, robust, architecture neutral, secure, portable, multithreaded, high-performance and dynamic language. 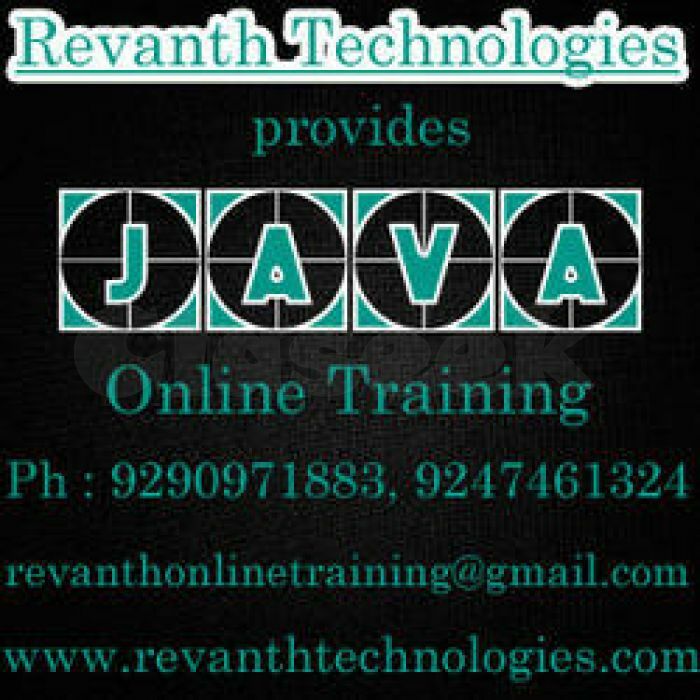 Revanth Technologies provides the best Java Online training and other IT Courses. We Java course tailored to the expectations of the industry like core Java for working Java developers, Java Struts for web application developers etc. We have the faculties who has more experience and currently working in MNC's, So you will get not only the entire depth about the concept rather you will get real time use for them from their experience. We will provide hands-on training on basic and advanced concepts such as Core Java, J2EE, Spring, Struts, Hibernate, Web Services etc. The trainers of both fundamental and advanced Java courses are extremely professional and knowledgeable. The recorded sessions of all the lectures will be provided to you by them.